tis the season to be thankful and merry!! i was not very festive for halloween or really for thanksgiving. 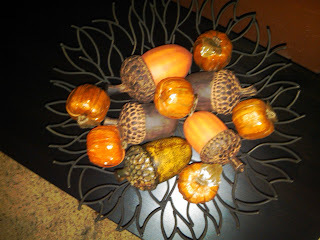 here is the decor for thanksgiving/fall that i bought at my work. 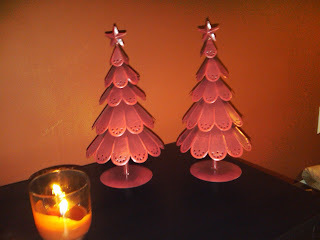 this is what happens when i go to target... i come home with these cute trees!! HERE IS THE GRAND FINALLY!!!! 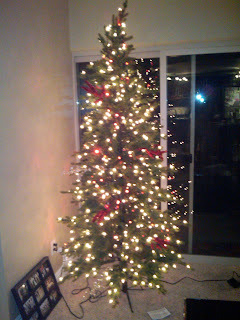 so i get 50% off christmas trees and everything in the store... i stepped up in this world!! "we are not really out door people, lets get a fake one." haha... my husband is so funny!! i was feeling sad today, for no good reason.. so what would make me happy?? 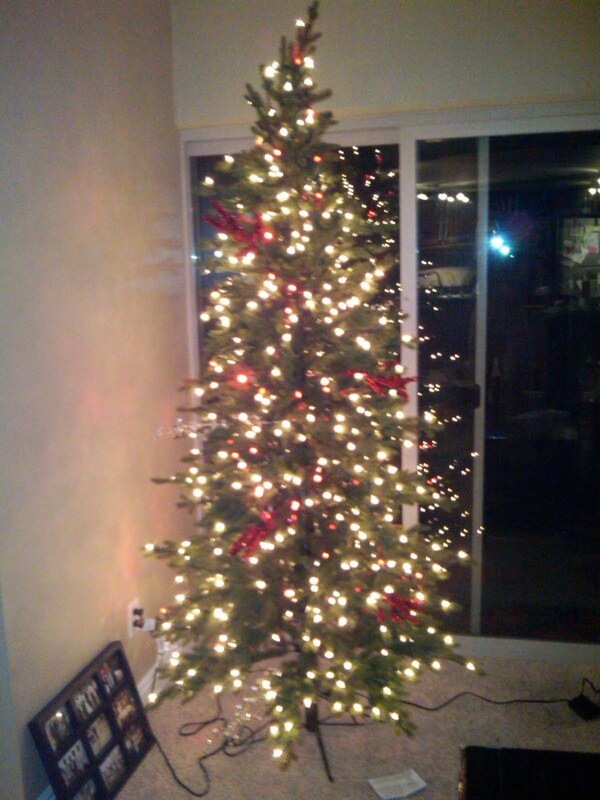 putting together my new tree!! isnt it just so great?? i know it is early. but i was sad... and now i feel happy!! oh don't worry....I just spent all my life savings on christmas ornaments the other day at Tai Pan. It's like I entered a whole new house-wives world and i love it!!!! Who knew christmas decor could be so exciting??! !